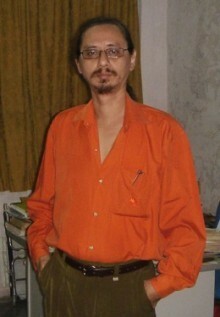 In this episode of Clocktower Radio’s Close Listening, ko ko thett talks to me about his decision to write in English; his nineteen years in exile and the experience of returning home; the political situation in Burma at the time of his exile compared to the present; his sense of the futility of the student protests; and the international context of the poets he anthologized in Bones Will Crow. 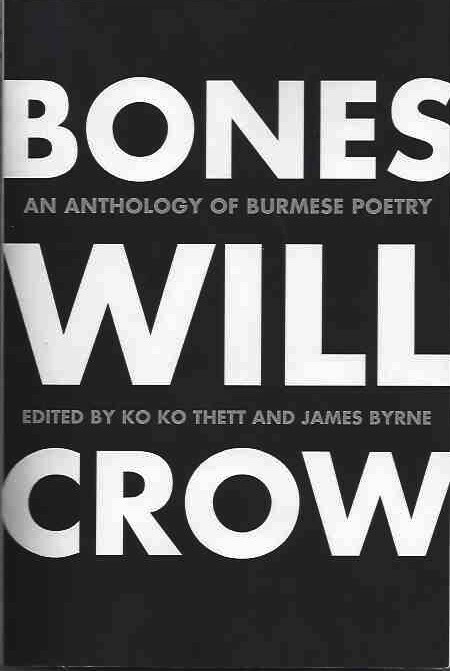 In the course of the show ko ko thett reads a recent poem in Burmese and offers a spontaneous translation. 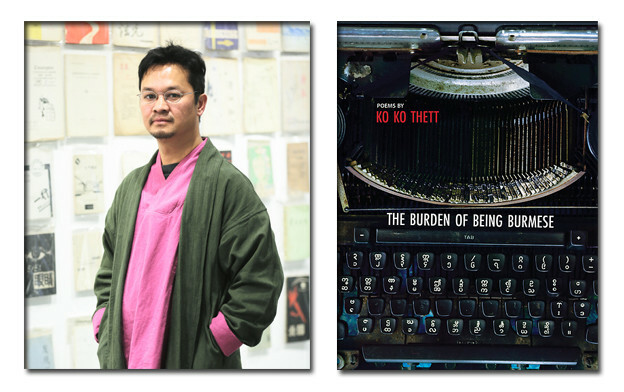 Recorded before a live audience at the Kelly Writers House on January 23, 2017, ko ko thett’s reading immediately preceded the Close Listening show. 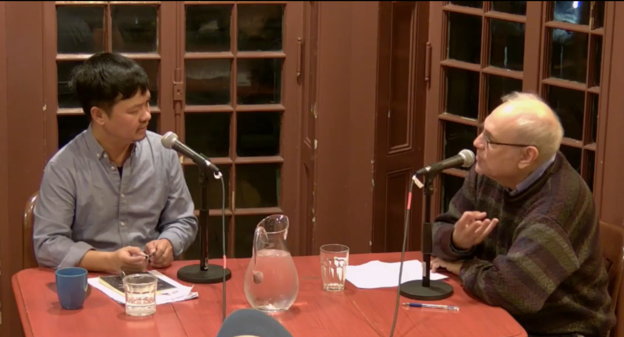 Left: ko ko thett at an exhibition of Chinese semizdat poetry books at Shanghai Minsheng Arts Museum, where he read in November 2015. Photo by Victor Shen. We don’t choose the world we are born into. Or the nation. As valuable as theories of the social contract may be — the idea that we chose to relinquish the freedom of unfettered existence for the security of a lawful society — the fact remains that no one in our world has ever actually confronted that choice. 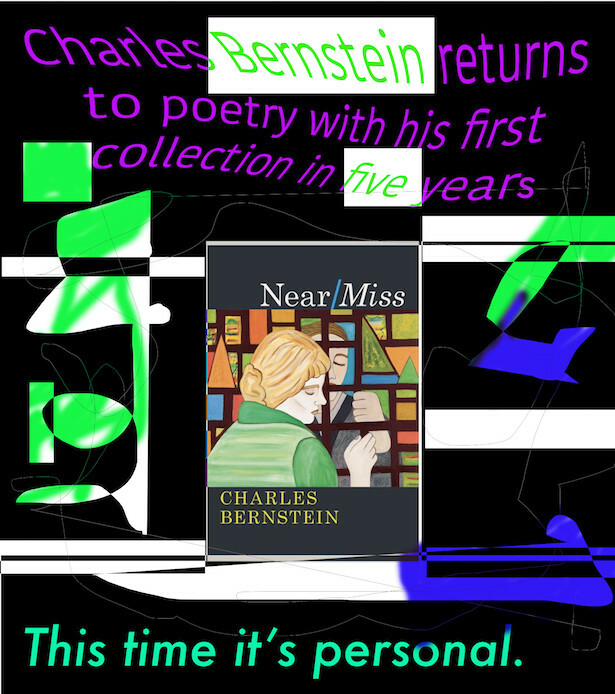 It’s not a contract we can annul. What a jolly good year we’ve had. Every village is democracy, democracy, democracy these days. Every villager is Mother Suu, Mother Suu, Mother Suu now. Long live Mother Suu! Of late even some oligarchs have become slightly socially responsible. After Mother Suu, one of those tycoons might plunge into politics to become ASEAN’s Berlusconi in the mafia state of Myanmar. Touch wood! Long live Mother Suu! 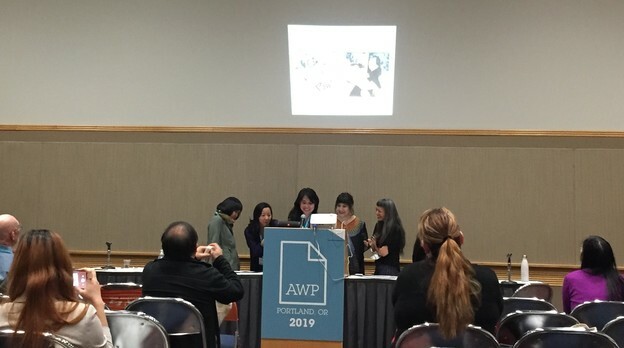 To many people outside Myanmar (Burma), it might come as a surprise that there is such a thing as Language-oriented Poetry in contemporary Myanmar poetry scene. As I happen to be the person responsible (‘the instigator’ / ‘the culprit’) of so-called Language-oriented Poetry in Myanmar, I feel that I should have my say on how this has come about in Myanmar, a country that has been under a military regime for the past 20 years or so.